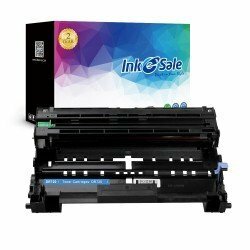 The compatible Brother DCP-8150dn toner cartridges from inkesale have superior print performance and dependable print quality for your Brother printer. Purchasing our laser toner is a risk-free investment to get satisfying print quality and save potential expenditure without causing any damages. Use our laser toners in your daily life can help raise work efficiency and get pleased quality satisfaction guarantee. We also carry high quality customer service and technical supports for each order, and we do our best to provide the best service and products for you.